Dress your maids in the Gloria Bridesmaid Dress, featuring a draped cowl back and cap sleeves. 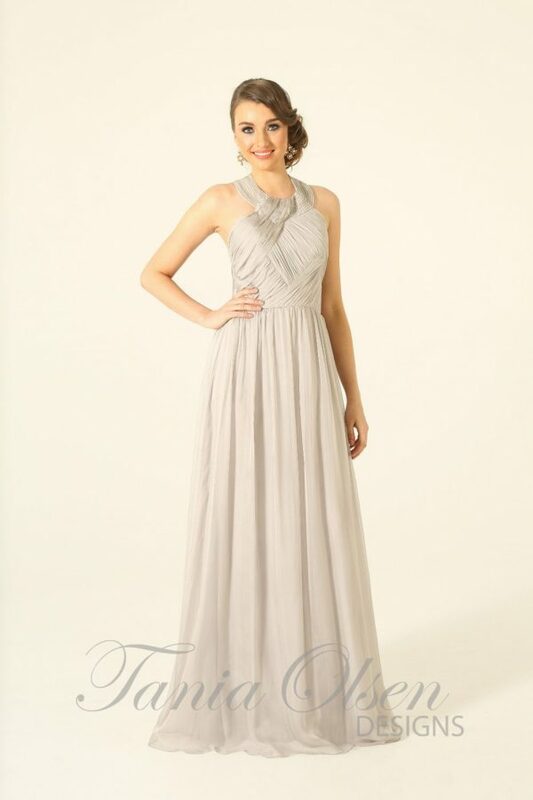 This beautiful dress alos makes a perfect formal dress. 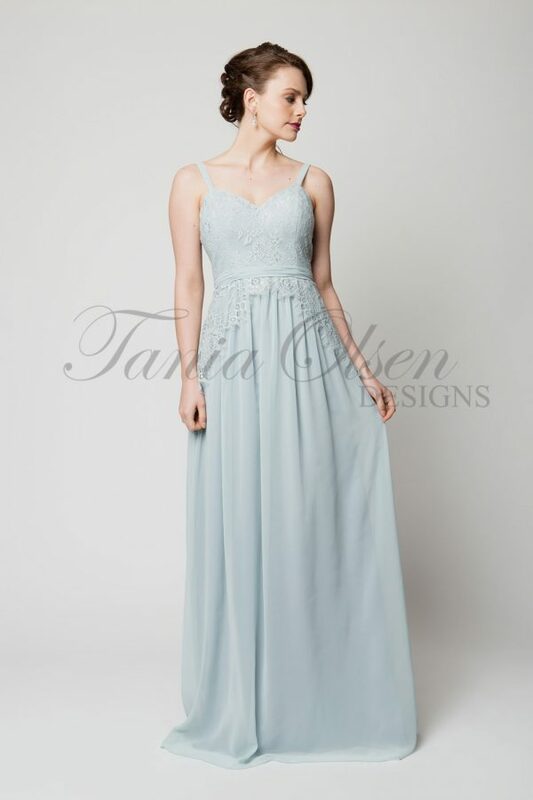 The Gloria bridesmaids dress is a delicate soft draped style gown, featuring a high cut neckline with intricate waist pleats. This dress is structured in a soft jersey fabric giving it a soft fall into a tulip skirt. The low cut cowl back is set off capped sleeves making it comfortable to wear.